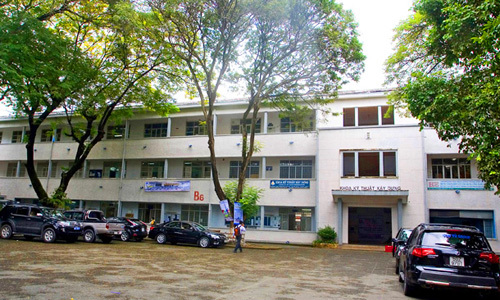 The history of the Faculty of Civil Engineering can be traced back to the College of Civil Engineering, which was originally founded in 1911 at Hanoi but was located in Phu Tho National Technical Center (Saigon) in 1957. Since then, the Faculty has continued to be an excellent training and research center in the field of Civil Engineering in Vietnam. It has contributed a significant part to the construction industry and particularly to the reconstruction of the country through many projects to build roads, bridges, factories. Currently, the Faculty is the largest one in term of training scale at HCMUT. The Faculty has the role to produce professionals and future leaders in Civil Engineering areas as well as to conduct innovative research and public services. With the wholehearted dedication of almost 200 academic and administrative staff, the Faculty keeps in their minds the slogan “A Tradition of Excellence” and therefore training quality has always been their first concern. The Faculty has established 7 well-equipped Labs and 2 Research Centers, which are available for undergraduate and graduate training, research activities, technology transfer, and consulting services.